There’s no question that primary-care physicians have long been spurned by the fee-for-service model that doesn’t recognize or reimburse fully the time spent with patients. Well, internists had a pretty good summer. Firstly , the CMS “proposed creating new evaluation-and-management codes for non face-to-face activities relating to the coordination of care for patients with two or more chronic conditions”. And, now a bipartisan draft bill from the House Energy and Commerce Committee’s health subcommittee extends that to care coordination between multiple physicians and other suppliers and providers of services.The number of chronic patients is expected to rise to 171m by 2030. The CMS proposal solicited public comment on whether general third-party designation of a practice as a medical home could be considered evidence that the practice was up to the task of providing care-coordination services. But the draft of the House bill specifically mentions the National Committee for Quality Assurance’s (NCQA) medical home and patient-centered specialty practice recognition programs. Part of the solution is to recognize practices as medical homes so they qualify under the new payment model. Thus far, the NCQA program has designated 5,770 practices as medical homes. “We are particularly pleased the draft includes expedited recognition of patient-centered medical homes as an approved alternative payment model for medical practices,” Dr. Jeffrey Cain, AAFP president of The American Academy of Family Physicians, said. That said, Cain did add that family doctors are “disappointed that the subcommittee’s draft does not include a provision to specify a higher base-payment rate for those services provided by primary-care physicians,” Cain said. Primary care has long been affected by dwindling reimbursements — In the 20th annual Modern Healthcare Physician Compensation Survey, family physicians finished last among the 23 specialties tracked – and a consequent migration of family physicians towards hospital employment. Medical students are increasingly avoiding family medicine (the number of students selecting careers in primary care has declined by 41% in the last decade), leading to an expected shortage of 44,000 primary care physicians by 2025. More young Americans are deciding to become physicians during a tough jobs market, even though they tend not to choose the high-demand primary care. American medical schools were pleased when they received a record number of applications in 2011. Applicants increased by 1,178, or 2.8 percent, according to the Association of American Medical Colleges (AAMC). Fully 43,919 men and women applied to U.S. medical schools this year, including 32,654 first-time applicants, according to the Washington, D.C.-based AAMC. First-year enrollment increased by three percent to 19,230, a rise of 18,665 when compared with 2010. A vital highlight is the larger number of African-American applicants, following a 0.2 percent decline in 2010. Those numbers grew by 4.7 percent to 3,640 in 2011, while enrollees rose by 1.9 percent to 1,375. The number of Hispanic/Latino applicants also grew by 5.7 percent to 3,459, with enrollment rising by 6.1 percent to 1,633. Asians comprised 22.7 percent of the total applicant pool; applicants who identified themselves as white made up 62.3 percent of the total. Meanwhile, first-time female applicants grew 3.3 percent to 15,953, while female enrollment increased by 3.2 percent to 9,037. The number of first-time male applicants increased by 1.9 percent for a total of 16,698 applications with 10,193 enrollees, a 2.9 percent increase when compared with 2010. AAMC said medical schools attract well-qualified applicants, noting their academic profiles included an average grade-point average of 3.5 and an MCAT score of 29. “We are very pleased that medicine continues to be an attractive career choice at a time when our healthcare system faces many challenges, including a growing need for doctors coupled with a serious physician shortage in the near future,” said Darrell G. Kirch, M.D., AAMC president and CEO. “At the same time the number of applicants is on the rise, we also are encouraged that the pool of medical school applicants and enrollees continues to be more diverse. This diversity will be important as these new doctors go out into communities across the country to meet the health care needs of all Americans. “U.S. medical schools have been responding to the nation’s health challenges by finding ways not only to select the right individuals for medicine, but also to educate and train more doctors for the future. However, to increase the nation’s supply of physicians, the number of residency training positions at teaching hospitals must also increase to accommodate the growth in the number of students in U.S. medical schools. We are very concerned that proposals to decrease federal support of graduate medical education will exacerbate the physician shortage, which is expected to reach 90,000 by 2020,” Kirch said. Finally, Kirch highlighted programs that provide scholarships and loan forgiveness in exchange for working as general practitioners in the nation’s underserved areas. According to Kirch, more funding is needed for these programs, and payments to primary-care physicians for services should be increased. Why Aren’t Physicians Paid For Talking To Their Patients? One possible reason that more physicians do not choose family practice as their specialty could be the fact that an essential part of the job is spent talking with patients – an activity that pays less than does performing procedures. According to a recent study published by the Journal of the American Medical Association, just two percent of medical students plan a career in general internal medicine, pediatrics or ob/gyn. Primary-care physicians spend more time talking to patients and helping them avoid health crises to cope with chronic and incurable diseases than they spend performing tests and procedures. These doctors ask relevant questions, about health and life circumstances, and listen carefully to their patients. These are physicians who know their patients and the circumstances and beliefs that can make health problems worse or hamper effective treatment. The problem is that reimbursements are dictated by Medicare and other insurers. As a result, physicians are not compensated well for taking the time to talk to patients. They are primarily paid for procedures – such as blood tests and surgery — and for the number of patients they see. Most spend long hours doing paperwork and negotiating treatment options with insurers. The payments they receive have not increased along with increases in the costs of running a modern medical practice. To earn a reasonable income of $150,000 a year, many primary-care doctors squeeze more and more patients into the workday. “If you have only six to eight minutes per patient, which is the average under managed care, you’re forced to concentrate on the acute problem and ignore all the rest,” said Dr. Byron M. Thomashow, medical director of the Center for Chest Diseases at New York-Presbyterian Columbia Medical Center. In a study of more than 3,000 patients with chronic obstructive pulmonary disease, 50 to 60 percent had one or more other illnesses, and 20 percent had more than 11 other conditions that required medical attention. “There just isn’t the time to address them all,” Thomashow said. Despite this, many physicians are reluctant to talk to their patients via e-mail. Suzanne Kreuziger, a Milwaukee registered nurse, said. “It makes sense to me to have the words laid out, to be able to re-read, to go back to it at a convenient time, If I were able to ask my physician questions this way, it would make my own health care much easier.” Her experience is shared by the majority of Americans: They want the convenience of e-mail for non-urgent medical issues, but fewer than 33 percent of doctors use e-mail to communicate with patients, according to surveys. “People are able to file their taxes online, buy and sell household goods, and manage their financial accounts,” said Susannah Fox of the Pew Internet & American Life Project. “The health care industry seems to be lagging behind other industries.” Physicians have good reasons for avoiding e-mail exchanges with their patients. Some are concerned that it will increase their workload. Others worry about hackers compromising patient privacy. A shortage of primary-care physicians in Massachusetts means that some patients must wait up to 48 days for an appointment. A poll of 838 Massachusetts physicians called the “Patient Access To Health Care Study“ found that Bay State residents often have to wait weeks — in some cases as long as a month and a half — for non-urgent appointments with primary care physicians and certain specialists. The Massachusetts Medical Society (MMS) called doctors’ offices in February and March and asked when they could come in for routine care. They asked for a new patient appointment with internists, family practitioners, and pediatricians; an appointment for heartburn with gastroenterologists; a heart check-up with cardiologists; an appointment for knee pain with orthopedic surgeons; and a routine exam with obstetrician/gynecologists. The typical waiting period ranged from 24 days for an appointment with a pediatrician to 48 days to see an internist. The wait for an internist was less than the 53 days in a 2010 survey, but the waits for family doctors, gastroenterologists, orthopedists, and ob/gyns rose. Additionally, 50 percent of Massachusetts’ primary-care physicians are not accepting new patients. The report has serious repercussions on the cost of healthcare in the state. Patients with no access to a primary-care physician are more likely to visit the far more costly emergency room when they are sick. “Massachusetts has made great strides in securing insurance coverage for its citizens,” said Dr. Alice Coombs, MMS president, in reference to the state’s ground-breaking 2006 universal health insurance law. “But insurance coverage doesn’t equal access to care.” Dr. Lynda Young, a Worcester, MA-based physician, counters, noting that “There’s only so many patients you can see in a day.” The situation is especially dire in rural areas. Dr. Joseph Viadero, whose Turner Falls, MA-based four-physician, three nurse-practitioner practice includes 12,000 patients, says “We’re overwhelmed and just have difficulty taking care of our own patients.” As a result, more people don’t get the preventative care they need. Dr. Richard Dupee, a geriatrician, says he sees poor, sick and elderly people traveling from Boston to the suburbs, just to see a doctor. Because relatively few Boston-area doctors are willing to see new patients who pay with government-subsidized insurance, “people are always taking the T from Boston, to get to my office.” Although Massachusetts’ healthcare law was written to get moderately ill people out of costly hospital emergency rooms and into less expensive doctors’ offices, the report finds that difficulty accessing care is sending some people back to the emergency room. “These people are insured, but they end up in the ER anyway, because they can’t find a doctor to treat them,” Dupee said. The study also examined the types of insurance accepted by each specialty. Medicare acceptance ranged from 98 percent in orthopedic surgery to 85 percent for internal medicine. While 92 percent of cardiology practices accepted MassHealth and Medicaid, that fell to 62 percent for family medicine and 53 percent for internal medicine. Two additional insurance types were included: Commonwealth Care, which serves low- and moderate-income adults lacking coverage and ineligible for Medicaid, and Commonwealth Choice, which is offered through an unsubsidized exchange run by the Commonwealth Connector. Acceptance ranged from 82 percent for ob/gyn to 43 percent for internal medicine with Commonwealth Care, and from 76 percent for cardiology to 35 percent for internal medicine with Commonwealth Choice. More American medical school seniors will begin residency training in primary-care or family medicine in July, marking an 11.3 percent increase over last year and the second consecutive year of growth in the practice, according to the National Resident Matching Program (NRMP). Medical school seniors filled 1,301 family medicine positions this year, a significant increase over the 1,169 who chose primary care in 2010. This year, 48 percent of available family medicine positions were filled, an increase over the 44.8 percent in 2010. Internal medicine matches rose eight percent, to 2,940 from 2,722, also showing an increase for the second year in a row. This year, 57.4 percent of available internal medicine residency positions were filled, an increase over the 54.5 percent reported in 2010. At Meharry Medical College in Nashville, half of the 98 graduating students opted for primary-care specialties. Additionally, many Meharry students chose internal medicine, pediatrics, ob/gyn and family medicine. “At Meharry, we proudly embrace and emphasize primary care as a very worthy career pursuit for future physicians,” said Charles P. Moulton, M.D., M.S., and Dean of the School of Medicine and Senior Vice President for Health Affairs. “The fact that so many of our students go into the primary-care field is a tribute to our unique and nurturing brand of medical education, our institution and its role in helping to fill the increasing need for primary-care physicians across the country.” At Meharry, 10 students matched in family medicine; 17 in internal medicine; 16 in pediatrics; and six in ob/gyn. As Baby Boomers celebrate their 65th birthdays at the rate of one every eight seconds, the nation’s physician shortage is growing. “This is not a surprise, of course, but I hope that the oft-repeated statistic will force our nation and our government to face the harsh reality of America’s current physician shortage, our growing underserved populations, and the dismal issue of access for those newly insured after 2014 under provisions of the Patient Protection and Affordable Care Act,” said Cecil B. Wilson, M.D., and president of the American Medical Association (AMA). Complicating the situation is the fact that the Department of Health and Human Services estimates that as many as 33 percent of physicians practicing today will retire over the next 10 years. At present, the United States has 709,700 physicians (in all specialties) with a demand for 723,400 – that’s a shortfall of 13,700 doctors. By comparison, in 2020, there will be 759,800 physicians (in all specialties) with a need for 851,300 physicians; essentially that represents 91,500 too few doctors. Once healthcare reform kicks in, 32 million more Americans will have access to medical insurance and 36 million to Medicare. “As more people get insured, they are going to seek out the care they probably should have been getting all along but haven’t been able to necessarily access. That’s why those numbers look worse in the next 10 years than we previously had estimated,” Grover said. To combat the nation’s severe doctor shortage, five new medical schools have opened since 2009 and an additional 10 are in the process of receiving accreditation. In addition to producing badly needed new physicians, these medical schools are also working to reshape how doctors are educated. A case in point is Miami-based Florida International University’s (FIU) College of Medicine, which bases its teaching on a community-based medical curriculum. Medical students at FIU are assigned a family who lives in a targeted Miami neighborhood. Dr. John Rock, the medical school’s founding dean, believes the mission is to improve the chosen family’s health and improve the neighborhood’s quality of life. “We’ve adopted those neighborhoods, and we never leave. Clearly, we have a commitment to those neighborhoods to be there and to work with households and the community to address the socio-determinants of healthcare,” Rock says. Rock, whose past experience includes stints at Johns Hopkins and as chancellor of Louisiana State University’s Health Sciences Center, says his primary goal at FIU is to graduate primary-care physicians. At the same time, he believes the deep commitment to community care will enhance the careers of those physicians who ultimately practice in a specialty field. Although other medical schools are committed to community-based medicine, Dr. Greer believes that FIU has a distinct advantage because of its newness. “Changing a curriculum in a medical school is like turning a battleship in a pool. Luckily, all we had was a raft. Now our job is to make sure that raft is pointed in the right direction, so that when it becomes a battleship, it has the ability to turn when the turns are needed to adjust to society,” according to Greer. Is the GOP Alone In Wanting to Repeal Healthcare Reform? Even though Republicans will control the House of Representatives and have a larger presence in the Senate come January, they still are likely to hit some formidable roadblocks in their attempt to repeal the Affordable Care and Patient Protection Act. Those roadblocks are such lobbying giants as the American Medical Association (AMA), the American Hospital Association (AHA) and the Pharmaceutical Research and Manufacturers of America (PRMA). The groups are on board with the new healthcare reform law because they will gain an estimated 30 million (or more) new paying customers in the next few years. The reform law is expected to increase payments to physicians and hospitals who have felt squeezed in recent years. Additionally, analysts believe the new law is a major force for job creation in the healthcare sector. Primary-care physicians, who are likely to benefit significantly from the healthcare reform law, will see their reimbursements from government insurance programs rise – although many believe the reform law is only the beginning. According to Dr. Cecil Wilson, AMA president, “While the 111th Congress made important improvements to our nation’s healthcare system, more work needs to be done.” Hospitals – which have been hard hit by patients unable to pay their medical bills because of unemployment – will be in better financial shape once more Americans get health insurance subsidies in 2014. Pharmaceutical companies, which were among reform’s earliest supporters, oppose repeal, even though analysts say it will cost them $100 billion in government rebates. The upside is that the industry will obtain new customers who were previously uninsured and unable to afford the latest brand-name medications. Even the much-maligned insurance companies – who will have more than 15 million new customers – oppose repeal. More than half of America’s 354 million annual acute-care visits – for fevers, stomach aches or coughs – typically take place in a hospital emergency room rather than in a primary-care physician’s office. This statistic was revealed in a study of systemic waste published in the journal Health Affairs. According to the study’s authors, their findings underscore a valid question about the healthcare reform law – how can a system that is already overwhelmed provide care to an additional 32 million newly insured patients? The study, led by Dr. Stephen R. Pitts, an associate professor of emergency medicine at Emory University, examined acute-care visit records from 2001 to 2004 and found that 28 percent were to the emergency room. This was particularly true for weekend and after-hours visits. More than 50 percent of acute-care visits by patients who lacked health insurance were to emergency rooms, which are required by federal law to threat anyone with a serious condition. This places a heavy financial burden on hospitals, which are compelled to provide basic care in what is admittedly an expensive environment. 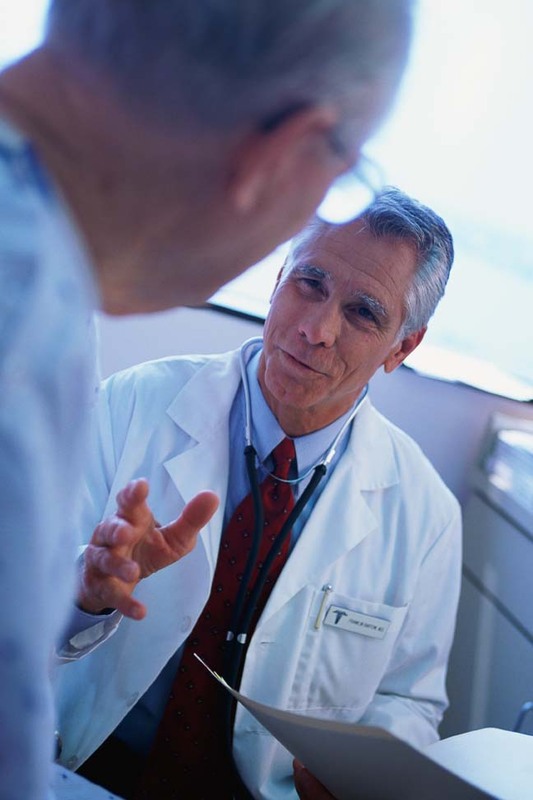 Often, there is little or no follow-up to determine progress or secure follow-up care. Doctors’ salaries fell slightly in 2009, according to the 17th annual Physician Compensation Survey compiled by Modern Healthcare magazine. The most recent survey tracked 23 specialties and determined that only five had average pay increases higher than the 2.7 percent inflation rate calculated by the Consumer Price Index. These were dermatology, which rose 5.3 percent; pediatrics, which rose 4.5 percent; neurology and pathology, which rose 3.3 percent; and hospital medicine, which rose 2.8 percent. Orthopedic surgeons topped out the compensation list with their average pay climbing 1.9 percent to $485,297. Eight specialties saw slight decreases. Plastic surgery was down 3.3 percent to $376,849; gastroenterology was down 2.8 percent to $409,628; intensive medicine was down 1.7 percent to $257,797; radiation oncology was down 1.7 percent to $420,661; urology was down 1.4 percent to $391,406; emergency medicine was down 1.1 percent to $266,826; invasive cardiology was down 0.9 percent to $450,016; and noninvasive cardiology was down 0.9 percent to $393,181. According to William Jessee, M.D., president and CEO of the Medical Group Management Association, “Clearly, there had to be some impact from the economy. Actually, I was pleased the numbers were as good as they were given the recession. Certainly, it showed a comeback in the second half of 2009.” A pediatrician, Jessee, added that primary-care physicians saw their pay rise by 2.8 percent last year, which he views as part of an effort to attract more medical school graduates to that specialty. He warns against over-reacting to the data. “Keep in mind the increase is not anything to write home about – 2.8 percent is not a windfall,” Jessee said.